People on both sides were yelling, screaming, ranting, and asking. All for a delayed response. As I stated on the podcast, Whitaker would have a long dialogue with Senators and Representatives on the committee… then… after about 4 minutes on average, congress would finally get a response. And most of the time it was a legitimate response. The Problem is he, like many others in The Trump Administration lied. Under oath. In the hearing, Whitaker proudly said that he never discussed the Russia investigation with Trump. With this, as before, Democrats were unimpressed and threatened a subpoena against Whitaker. In the hearing, Mr. Whitaker would take his time and unnecessarily exchange in a lengthy conversation with lawmakers before he would actually answer their questions, which he seemed to always do. But not on Mueller. Whitaker deflected all questions related to conversations with and/or about the dialogue with the president. After he had had enough, committee chairman, Hon. Jerry Nadler was forced to end the hearing by threatening a subpoena if questions weren’t answered. Whitaker kept his eye on the clock and at times even tried to run it out with the lengthy conversations by pretending to misunderstand very understandable questions. In contrast to President Trump Whitaker refused to disagree with the president’s sharp and undefiant definition of Mueller’s probe as a “witch hunt” . This is something other top law enforcement officials and Trump nominees have not hesitated to do mostly because it is a theatrical partisan characterization. Now that we have context, it is important to identify exactly who Matthew Whitaker is. 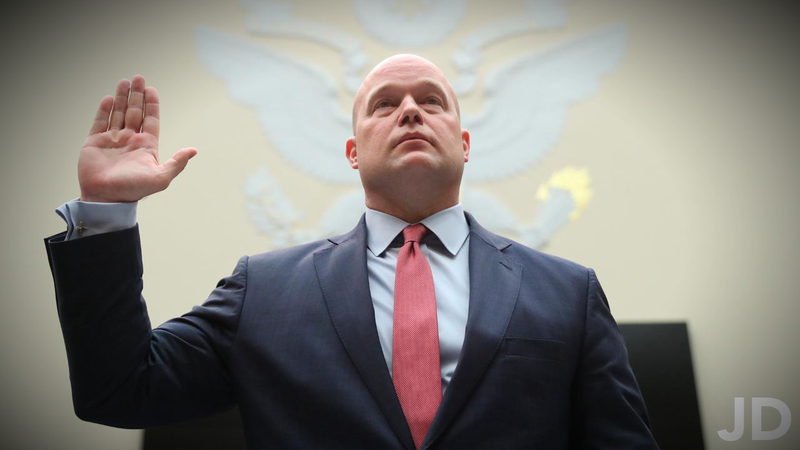 Earning his law degree in 1995, Whitaker worked for a number of law firms all across the country ranging from Des Moines, Iowa in addition to Minneapolis, Minnesota and others. He earned his bachelor’s degree from The University of Iowa in communications and business. Whitaker, then went on to settle cases out of courts as a lawyer before even entering The Trump Administration. When he entered The Trump Administration, Mr. Whitaker was a staffer for a (now former) member of the cabinet, Attorney General Jeff Sessions. For context, Sessions was fired by Donald Trump in November for a difference in opinon. In MY opinion, Sessions was never suited for the job in the first place. Back to Whitaker: The Acting AG was the former Chief of Staff for The Attorney General’s office. When Trump fired AG Sessions, he did not have an immediate plan to formally replace him. This fact forced Whitaker to temporarily step in as Acting Attorney General. William P. Barr is set to experience the formal process of becoming the (for now) permanent Attorney General. This man will formally replace Jeff Sessions and go down as the 85th Attorney General of The United States. The testimony of Matthew Whitaker is ongoing, This story will be updated as needed. For more, listen to episode 70 and 71 of The Jay Doherty Podcast.